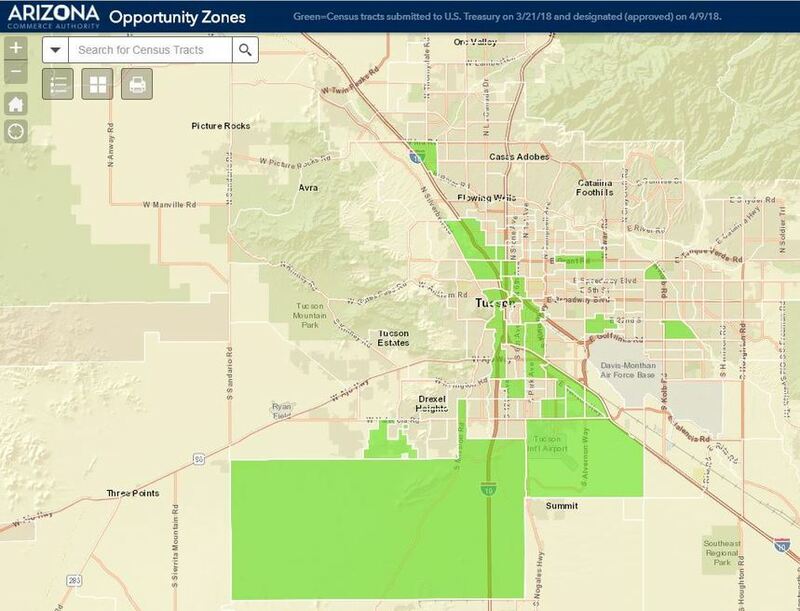 In this guest post reprinted from TRENDReport, Learn about Arizona’s Opportunity Zones and Opportunity Funds, a collaborative effort of the Arizona Commerce Authority and communities around the state enabled by the Tax Cuts and Jobs Act. This guest post article is reprinted from TrendReport and was published on Picor/Cushman Wakefield’s blog. While the initial portion focuses on Arizona Opportunity Zones specifically, a great overview is provided of the Opportunity Fund requirements for investing in real estate businesses and business property. Well worth reading! David Brim is a marketing strategist, entrepreneur and investor living in Orlando, Florida. He is the managing director of the Orlando Opportunity Fund., and founder of Opportunity Zone Hub. Learn more at his blog Filled to the Brim.